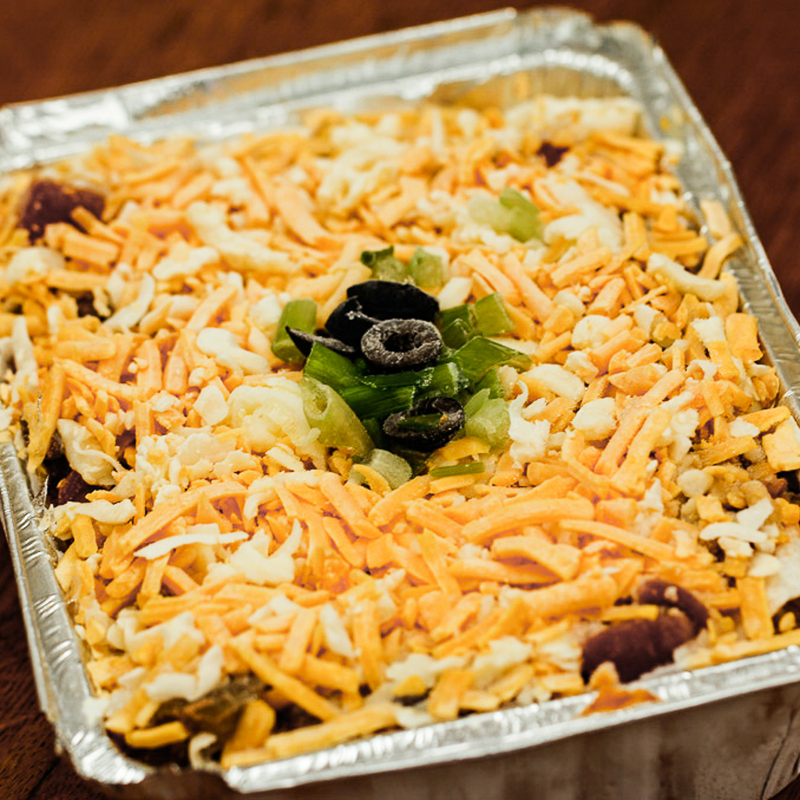 Think Mexican lasagna! This unique casserole is a tasty vegetarian option. Flour tortillas are layered with a blend of fresh onions, green peppers, diced tomatoes, salsa, black beans, and authentic Mexican spices. All topped with a tasty blend of cheeses. Simply warm in the oven, then lightly broil to brown the cheese. Makes the perfect side dish or pair a salad, for an easy, delicious meal!